The model SA/15 is built to satisfy low to medium throughput requirements (max 20 pallets/h). It’s fitted with a manual tensioning device (mechanical or electro pneumatic). 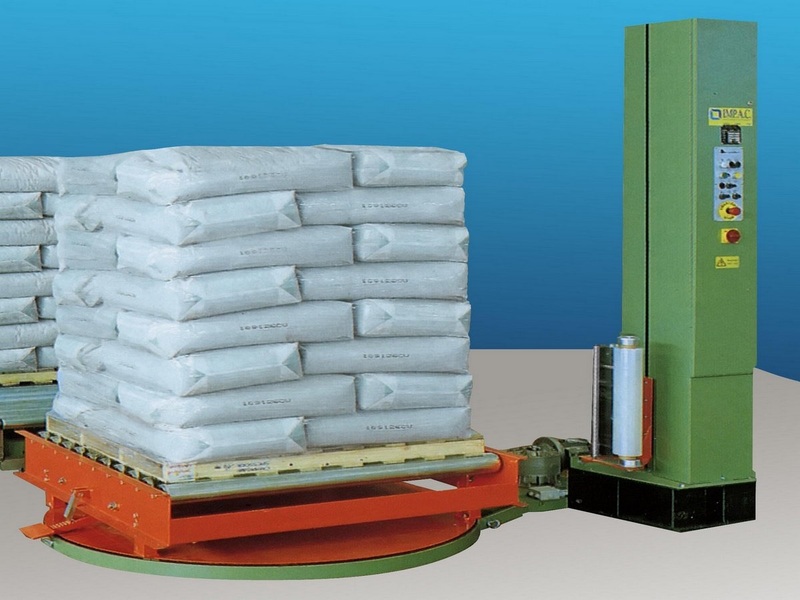 The film engagement to the pallet at the begin of the wrapping and the film cut at the end of the wrappping are manual, while the wrapping cycle is automatic and configurable. An idle roller conveyor with safety brake is available to be fitted on the rotating platform on request.